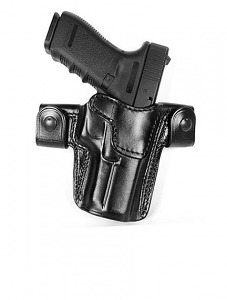 The Ritchie Leather P220 Compact CQQR Holster is a right handed outside the waistband holster designed to be easily strapped onto your gun belt and quick and easy removal. Wet molded and hand boned for your specific carry weapon. Will only fit non-railed models Right Hand.